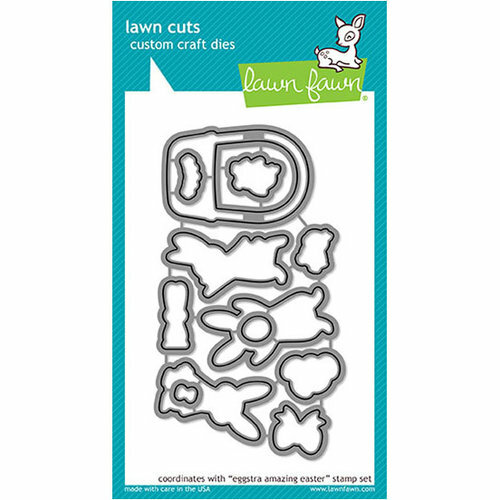 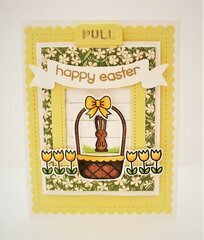 Create an Eggstra Amazing Easter with these Lawn Cuts Dies from Lawn Fawn. 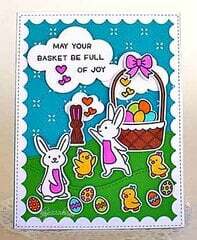 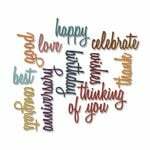 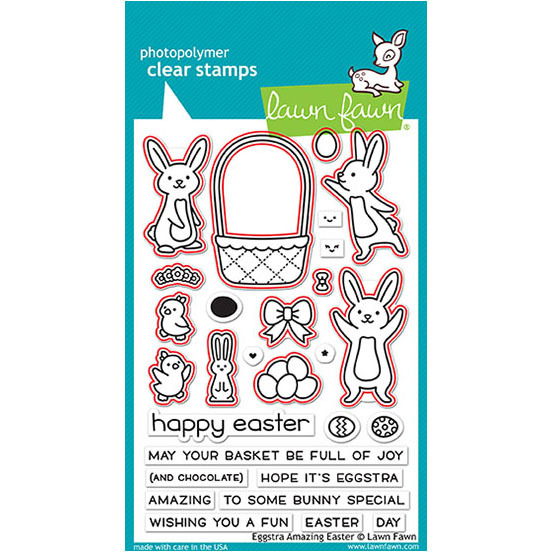 There are 11 thin metal dies included that coordinate with the Eggstra Amazing Easter stamps and are compatible with most die cutting machines (all sold separately). 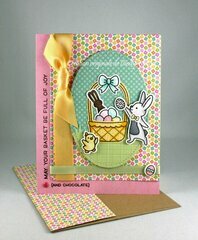 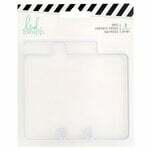 The dies are in the shapes of rabbits, an Easter basket and more. Made in the USA. .25" x .375" to 1.5" x 2.25"